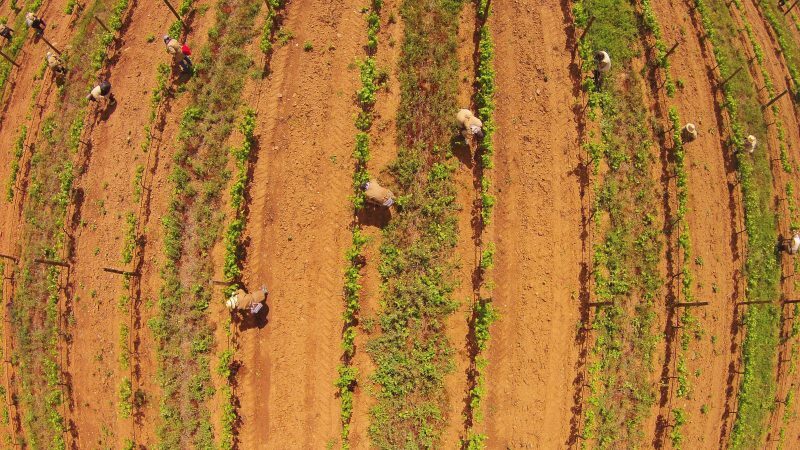 At Herdade do Esporão, the soils need organic matter and nitrogen. This led us to use green nitrogen fertilisation via green manures. In autumn, yellow lupine and leguminous plants are sown between the vine rows, then buried in the soil to improve its structure and provide the vines with nitrogen. The whole process is done naturally, so avoiding the need for artificial fertilisers. 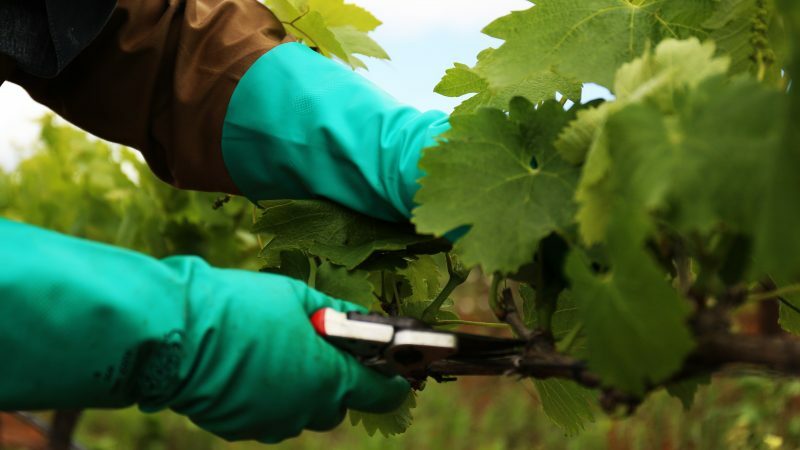 Another sustainable vineyard management method is used in June and involves removing tendrils (soft branches or vine shoots) that are unproductive and jeopardize grape quality. This ‘green pruning’ improves the balance of grape clusters, as well as helping air circulate within the vine itself. For the vines used for top-of-the-range wines, pruning is more intensive and only the productive part of the plant is left. These agricultural and cultural practices influence the quality of the harvest, as this is determined by the health of grapes, as well as the biochemical development of the berries (sugars, acidity, pH, phenolic compounds and aromatic precursors, potassium, nitrogen, etc.). Having an influence on the harvest means influencing the wine itself, as these are essential methods for good grape ripeness.